State Sen. Heather Steans, whose legislative district includes Edgewater, wants to legalize marijuana. EDGEWATER — A state senator from Edgewater wants to solve the state's fiscal crisis by legalizing marijuana. Two bills now pending in the General Assembly authored by state Sen. Heather Steans (D-Edgewater) would create a system for regulating and taxing marijuana sales in an effort to bring in at least $350 million a year. Gov. Bruce Rauner is reviewing the bills, spokeswoman Eleni Demertzis said. 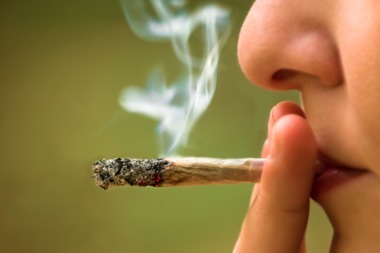 The law would allow adults to possess, grow and purchase small amounts of marijuana. Businesses producing marijuana for sale would be bound by labeling requirements and marketing restrictions. Steans said the aim of the legislation was to end the flow of funds to criminal enterprises. The bill would impose a $50 per ounce tax on pot at the wholesale level, while sales to the public would be subject to the state's 6.25 percent sales tax. Illinois residents could posses up to 28 grams and five plants. Nonresidents could possess 14 grams. Under a pilot program approved in 2013, Illinois permits marijuana to be used for medical reasons. Chicago has medical marijuana dispensaries in Logan Square, Uptown, Garfield Ridge, Jefferson Park and Norwood Park. Illinois has not had a budget in two years due to a dispute between Rauner, a Republican, and the Democrats who control the Legislature. Illinois has $12.8 billion in unpaid bills, according to Comptroller Susana Mendoza. Marijuana is illegal under federal law, but eight states, including Colorado, permit recreational use.